Euromoney Conferences announced the launch of The Euromoney Emirates Conference 2017, the first Euromoney event to be held in the UAE. The conference will run on May 8 and 9 in Sharjah. Since the late 1970s, the company has organised a series of successful and high profile financial events in more than 60 countries and across the region, including the famous Euromoney Saudi Arabia and Euromoney Egypt Conferences. 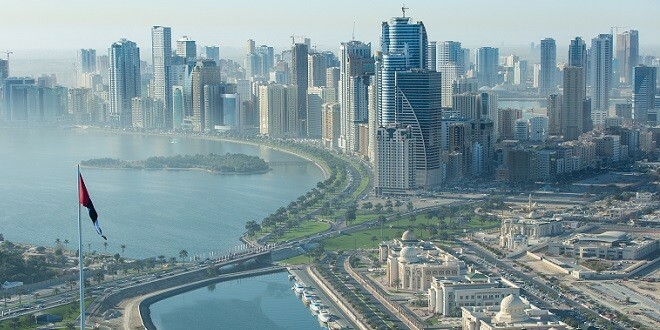 In 2017, with the support of Sharjah Investment and Development Authority (Shurooq), The Euromoney Emirates Conference will bring together leading authorities on finance and economic development to discuss the next phases of the UAE’s journey to becoming the region’s standout innovation economy. Held under the patronage of His Highness Sheikh Sultan bin Mohamad bin Sultan Al Qasimi, Crown Prince and Deputy Ruler of Sharjah, the event will provide essential insight into the UAE’s growth opportunities, as well as the challenges facing the region and wider world in the current turbulent economic climate. This year’s theme will be “Finance and Investment for an Innovative Economy,” looking at the models and policy shifts that will be necessary to sustain investment, encourage innovative disruption across industries, and enable banks and financial institutions to adapt for the future. With a mix of keynote presentations, on-stage interviews and panel discussions, The Euromoney Emirates Conference will include contributions from Tarek Fadlallah, Managing Director and CEO of Nomura Asset Management; Hussain Mohammed Al Mahmoudi, CEO of AUSE; Nasser Saleh, CEO of Madfooatcom; and Omar Soudodi, Managing Director of Payfort. Sheikha Bodour bint Sultan Al Qasimi, Chairperson of Sharjah Investment and Development Authority (Shurooq), said: “Sharjah’s role in hosting the internationally acclaimed ‘Euromoney’ conference marks its pivotal position across the global economic map as a leading player in sustaining its evolving path towards the drive for economic growth in the UAE”. Victoria Behn, Euromoney Conference’s Head of Middle East and Africa, said: “Over the years, Euromoney Conferences have attracted tens of thousands of delegates and generated incredibly valuable insight that has helped shape policy and investment decisions. We’re very pleased to be working with Shurooq to bring this high calibre event to United Arab Emirates at such an important juncture in the nation’s development. In addition to its focus on the wider economy, the Euromoney Emirates Conference will include sessions on the role of Capital Markets in driving innovation, measures to encourage SMEs, and the future of banking and payments in the region. The Euromoney Emirates Conference 2017 will host delegates from major banking institutions who will discuss how international institutions can become involved in the development of the UAE’s private sector, and will provide an insight into recent changes in the legal and fiscal environment.